Sad word came this morning that Carolyn Minogue Meacham passed away in her sleep last night. Thanks to Jane Cobb, we understand Carolyn and Frank (who passed earlier) had one daughter, two sons and three grandchildren. Their daughter, Marian, was expecting her first child soon. Funeral Home South on Brambleton tomorrow evening (Friday) from 5:30 - 7:30.
time. Thank you for being a friend of Mom's!" Carolyn Minogue Meacham, 70, passed away Thursday morning at her home. She was married to W, Franklin Meacham lll, deceased, for 41 great years. She is survived by three children, sons W Franklin lll and wife Diana, High Point,N.C. Patrick M. and wife Sharmane and their three children Erin, Sammy, and Natalie of Raleigh and daugher, Marian and husband, Jay Andre. ( Carolyn's fourth grandchild is due in December) of Oak Hills, Va.
She is also survived by her sister, Mrs. Bobbie Hill of Greensboro. 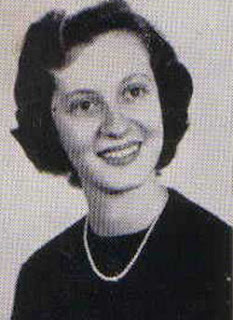 Carolyn graduated from Woman's College in Greensboro and taught middle school throughout her life. She was one of a kind, who will be sorely missed by those whose lives she touched with her quick wit and big heart. The family will receive friends Friday, September 22, at Oakey's South Chapel. from 5:30....7:30 p.m. Donations can be made to Child Health Investment Partners (Chip) and to Roanoke Valley's SPCA,Arrangements by Oakey's, South Chapel. Thank you for your thoughtfulness in sharing this. How wonderful that you guys got to the family gathering. The thing that sticks out in the obit for me is "She was one of a kind". Boy, was she ever! Her passing has hit us all very hard. In contacts to encourage 70th BD attendance, I was saddened to learn of Ann's passing. Mrs. Boyd, age 69, of 4411 Gladwood Lane, passed away quietly surrounded by her husband, daughters and family on June 1, 2006 at Carolinas Medical Center. A memorial service to celebrate her life will be at 2:00 PM Monday at Durham Memorial Baptist Church, Reverend Charles Gardner officiating. The family will receive friends at the church following the service. Mrs. Boyd was born March 25, 1937 in Hope Mills, NC. She was a member of Durham Memorial Baptist Church, the Joy Sunday School Class, was a graduate of Central High School, was president of the Ladies Auxiliary of the VFW Post #6724 for many years. 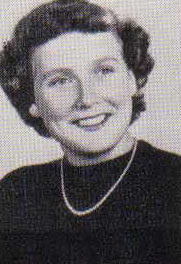 She was reared by Thompson Orphanage and served as president of the Thompson Orphanage Alumni. She was also a member of Steele Creek Chapter #3390, Order of the Eastern Star. Surviving are her husband of 24 years, Jim Boyd; daughters, Darlene Gardner of Charlotte, Donna Gardner Martin and husband, Doug, of Concord, and Edna Gardner Tompkins and husband, Jim, of Concord; grandchildren, Andrew Hager, Cody Martin, Angelena Tompkins and Maria Tompkins; and sisters, Stella Batson of Charlotte and Marie Culbreth of South Carolina. In addition to her parents, Mrs. Boyd was preceded in death by her first husband, Wade Hampton Gardner; a brother, William Andrew Bennett; and a sister, Gladys Butler Edward. In lieu of flowers, memorials may be made to Thompson Child and Family Focus, 6800 St. Peters Drive, Matthews, NC 28105, or Scott Walk, 1106 Rembrandt Dr., Concord, NC 28027.